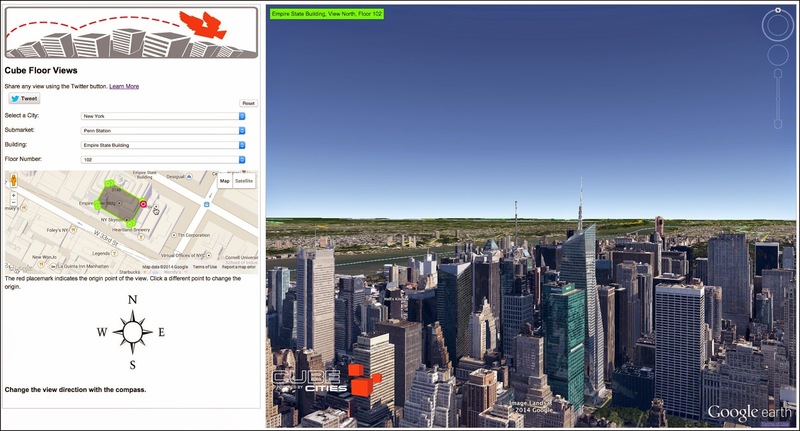 Here's a new micro site that allows anyone to see the view from any building floor and then share the view as a direct URL using Twitter. We call the page Cube Views and its available here. Questions on the Cube Views page? Looking for a building that's not in our list? Contact us here.